Swords of the Ancients Collection In the beginning of things in the ages past there were the ancient Ones, masters of flesh, fire, and steel, who forged the elements of which the land was made. When men and beasts came into the world the Ancient Ones purposed to have dominion over them, hence they commanded that the Dark Elves create the “Swords of the Ancients.” They were forged of sected alloys and each sword was bequeathed it’s own special power. 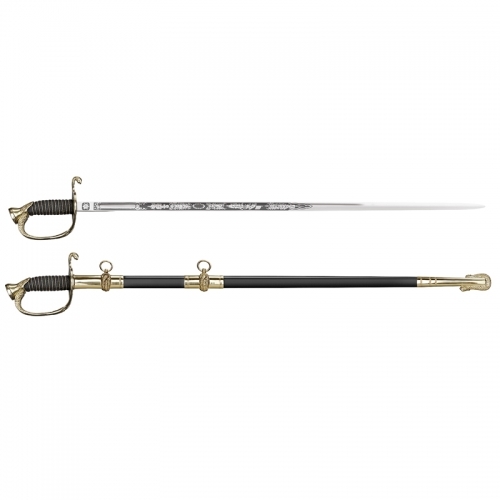 The swords have been used throughout the ages in the eternal struggle between good and evil. Each sword includes a full color art print shown above. Mithrodin Sword – Non-Autographed Edition Individually serialized pieces Solid metal handle parts, antique metal finish Genuine leather wrapped grip 22-3/4″ 420 stainless steel blade, false edged 42-3/4″ overall length Color Art PrintCertificate of authenticity Kit Rae Images from a hidden world of dreams and nightmares form this unique line of edged fantasy creations by artist Kit Rae. Mr. Rae, who has been designing knives since 1984, has been engrossed in fantasy art all his life, with a background in illustration, painting, and sculpting. His designs have varying inspirations including Greek and Egyptian mythology, some strikingly beautiful, some wickedly haunting. 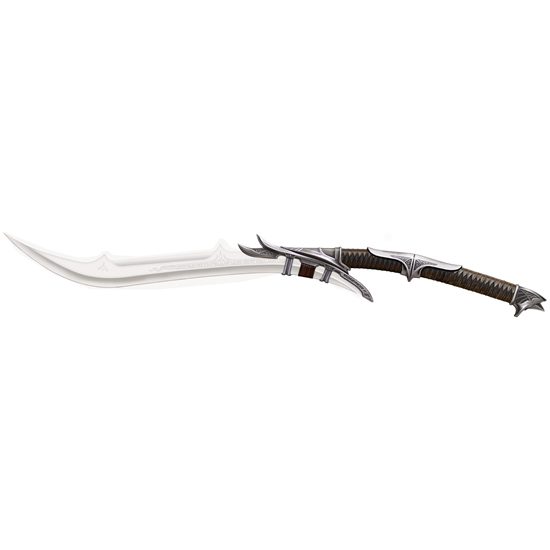 They are very popular among serious fantasy knife and sword collectors and have appeared in numerous television shows and feature films. The Kit Rae line consists if edged knife and sword art, with some pieces defying conventional description, Each new piece is part of the tapestry that forms “The Tale of The Swords and the Ancients,” a fantasy story written by the artist, about the eternal struggle between good and evil. Most Kit Rae knives include a companion art print that features blades in scenes from his story.